Throughout my career, while serving as both a pastor and bereavement specialist, I have helped support thousands of families who were mourning precious loved ones. Sadly, the grief dynamic for individuals within most of those families was one of isolation and silence. This silence isn’t surprising. It’s just so, so difficult to talk about death and the pain of grief. Most adults don’t feel comfortable talking with another grownup about death or grief. The thought of trying to speak with and comfort a child whose dearly loved parent, grandparent, sibling or friend has died leaves us even more bewildered. 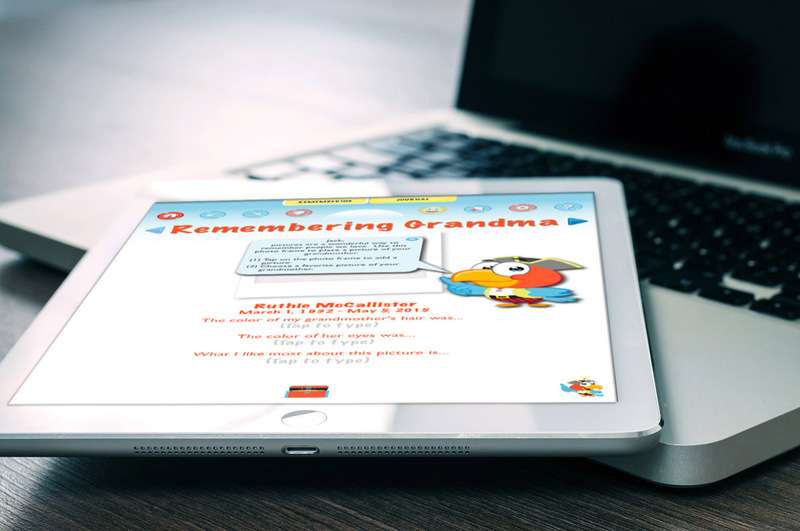 My purpose in creating MY GOOD GRIEF JOURNAL FOR KIDS was to provide a technologically advanced tool that would help adults–in a private, secure environment–spark warm conversations with their grieving children. Parents, teachers, guidance counselors, or any adult responsible for the care of a grieving child will find the app easy to use. 1. It will HELP YOU BREAK THE ICE when you don’t know what to say to a grieving child. •	The 20 activities found in the ‘Remembering’ pages provide natural gateways to conversation. •	Each activity helps start engaging conversations between grieving children and their adults. •	The app is not intended to be used by children without the help of a caregiving adult. 2. It will HELP REDUCE FEELINGS OF ISOLATION that so often cloak children and families who are mourning. •	In many families talk of death and expressions of grief are ‘taboo.’ Children quickly learn, “We just don’t talk about it!” One result is such a ban is that children feel isolated and alone in their grief. •	When an adult introduces MY GOOD GRIEF JOURNAL FOR KIDS, children are liberated from the ‘taboo.’ Using it gives them permission to talk about their memories, thoughts and feelings. 3. 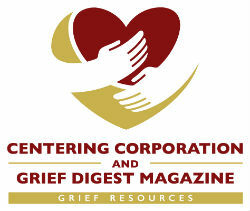 It gently nudges both child and adult users to PAY ATTENTION TO THEIR GRIEF TOGETHER. •	Grief ignored is grief delayed. Instead of being lessened, delayed grief results in a person’s sorrow being extended and multiplied. •	Many who avoid reminders of a loved one’s life and death have difficulty moving forward to a place where life is good again. 4. It will HELP CHILDREN (and their adults) EXPRESS EMOTIONS in ways that feel safe. •	The activities are designed to be a gentle pathway by which children and their adults may share memories, thoughts and feelings about their deceased loved one. 5. Looking back at recorded memories can give a person a SENSE OF MAKING PROGRESS. •	When life is overshadowed by the sorrow of death seeing even a little progress forward can bathe a person with a warming sense of hope. •	For those deep in grief, even a slight ray of hope can help them begin to imagine a better future. FEATURES: The app has dozens of cool features made possible by iPad technology. Cheerful artwork invites children to use the app’s tools for creative expression. Tools to import photos, create audio and video recordings, draw, write, and type, enable children to ‘play’ while processing their grief. 1. The technology HAD TO BE SECURE AND SAFE! •	The app requires an Adult User to assist in the creation of Child User accounts. •	All content is confined to the iPad’s memory. •	The app does not connect to the Internet. •	Other than a child’s first name, the app doesn’t collect personal identification information. 2. I wanted children to be able to PERSONALIZE their content. •	When setting up their ‘User Account’ children enter both their name and that of their deceased loved one. These names then automatically flow throughout the app’s instruction and questions. •	Information about the relationship the two had with one another (‘father-to-daughter’ • ‘grandmother-to-grandson’ • ‘friend-to-friend’) is also entered. This relationship also flows throughout the activities and content of the app. •	Appropriate gender pronouns (such as ‘he-she’ or ‘his-her’) also make the content feel more personal. My hope and prayer is that MY GOOD GRIEF JOURNAL FOR KIDS will become a treasure chest of memories, thoughts and feelings for many more like her. John Lemasters and his wife, Irene, have been married 40 years. They have been blessed with six children and two grandchildren. As a ‘creative’ introvert, he enjoys playing guitar and keeping bees. John’s professional career includes work as a pastor, musician, writer, actor, and bereavement specialist. He holds a Master of Divinity from Asbury Theological Seminary and the Certification in Thanatology from the Association of Death Education and Counseling. By nature a creative problem solver, John recognized that in the iPad’s technology there was an opportunity to build a powerful tool to help grieving children and their families. With a big dream but no experience as an app developer, it has taken three years of persistent effort to give life to the vision. He is overjoyed to at last be able to share MY GOOD GRIEF JOURNAL FOR KIDS with the world.